This is D.O. 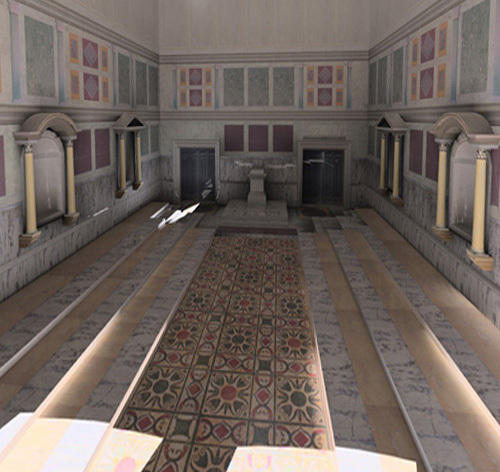 and I’m coming to you live from the halls of the Imperial Roman Statehouse here in the center of Rome. 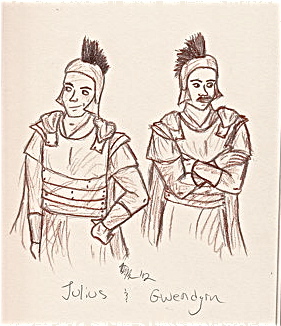 With me is one of the youngest members of the Roman Senate, and by far it’s most unique one. She also happens to be the first major female character introduce in Copper Centurion. Thanks for taking this moment to meet with us, Senatora Octavia Pelia. P: Can we hurry this up? I’ve got a committee meeting in ten minutes, and I’ve got to talk with the other senators about this expedition to Nortland and…. D: Excuse me, there’s an expedition going somewhere? P: *Levels an angry glare at me and sighs* I suppose I can tell you about it since there’s no way you’d let anyone else know. Yes, there’s an expedition in the works to go north and punish those pesky Nortlander savages for their destruction of Brittenburg. That’s the official line, anyways. D: What’s the unofficial line? P: High command is stuck in a political battle between the career and political officers. We’ve just barely managed to get a career officer in charge of the expedition, but the vote was so close I don’t know if it will manage it in the full senate. This expedition would be a fine way for some political imbecile to truly *part censored due to language unbecoming a young woman of Roman breeding and standards*. P: My father was a career officer. I blame his death – on the field of battle, no less – on those political idiots he couldn’t remove from his supporting armies. D: Ah, I see. So I can take it you plan on voting against whatever political appointment is proposed to lead the expedition? P: Yes. Rumor is that they’ll try to vote through General Minnicus – As though anyone would want that man in charge after the debacle back in Brittenburg. Did you know that he nearly got our Crown Prince KILLED? By rights, that man should be in chains. And to place him in charge of the same legion that contains the primus imperio Constantine Appius again would be sheer foolishness. D: Sounds like you’ve got a thing for this Prince. P: *Blushes and glares at me* What is this, a drama worthy of Virgil? I’ve never even met his highness, much less talked with him. How could I have a ‘thing’ for him? P: If you’ll excuse me, a vote is being called for, and I don’t want to miss it. D: Thanks for talking with us anyways, Senatora! And now check out this fun fan art from Hazel West. Thanks Hazel! I love it when authors interview their characters! I did that a while back. I already like Pelia. Can’t wait for your next book! !